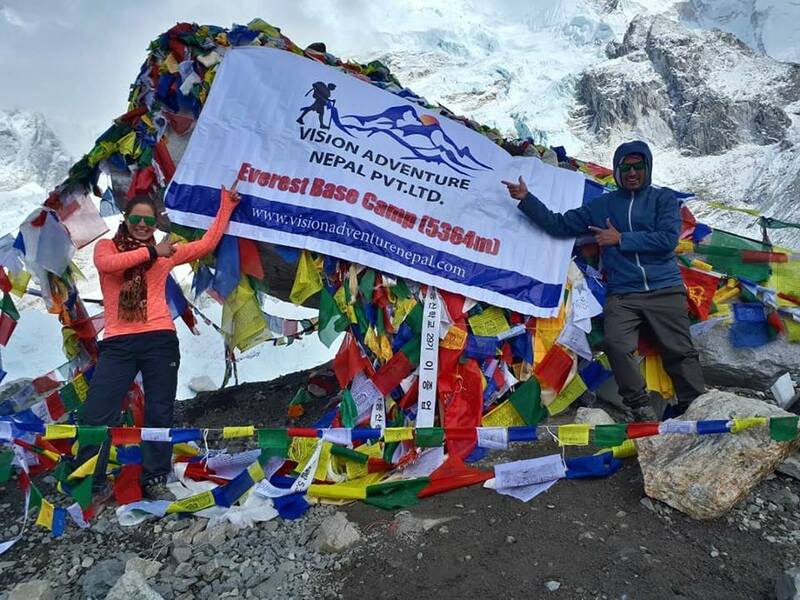 The Everest Base Camp trek package provides you with an utmost spectacular snow topped high mountain scenery, experience of the Sherpa culture, and excellent tea house views of the Khumbu Himalaya of Nepal. In this trip, you can view four of the tallest peaks in the world, namely, Mt. Everest (8848m), Mt. Lhotse (8516m), Mt. Makalu (8463m) and Mt. Cho Oyu, (8156m). Trekking to the base camp of Mt. 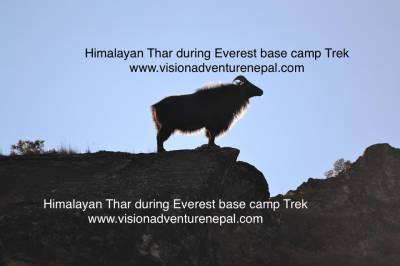 Everest starts with a very exciting flight from the Tribhuvan International Airport in Kathmandu to the Tenzing Hillary airport in Lukla, then an uphill trek to a beautiful Sherpa settlement and the trading capital of the Khumbu region called Namche Bazar. After a one-day acclimatization in Namche Bazar, you start your trek for another two days to Dingboche (4,260m). 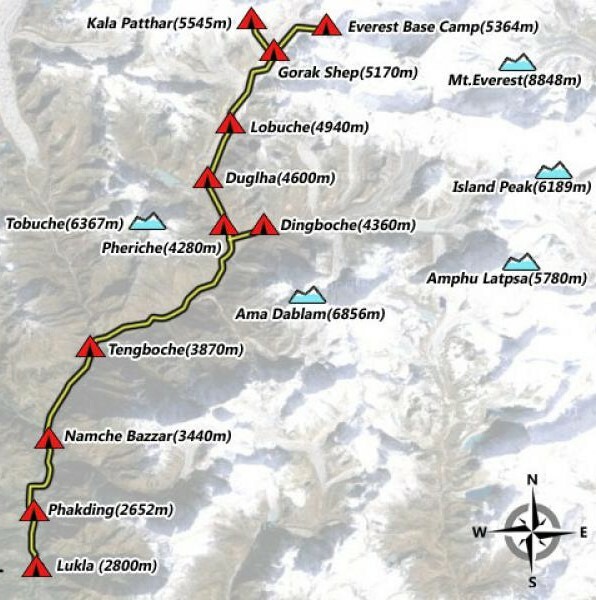 Another two days of trek will lead to Everest base camp, passing through Gorakshep, the flat land below Kalapathar (5,545m) and Mt. Pumori. From the Tribhuvan International Airport, you will be transferred to your hotel in Thamel. 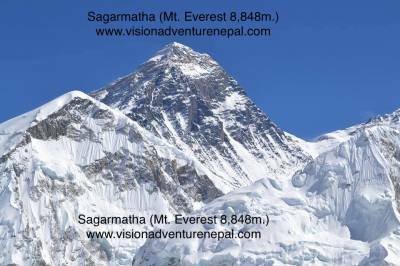 In the afternoon, you will have a short briefing about the trip and your Sagarmatha National Park Permits and TIMS card will be issued. You will have some free time in the evening to explore Thamel and prepare for the trip the following day. After an early morning flight to Lukla, we trek down to Chheplung, Chaurikharka. From here, the trail contours along the banks of Dudhkoshi (Milk River) valley before ascending to Ghats (2530m). The trail then ascends towards Phakding (2660m) where we stay overnight. 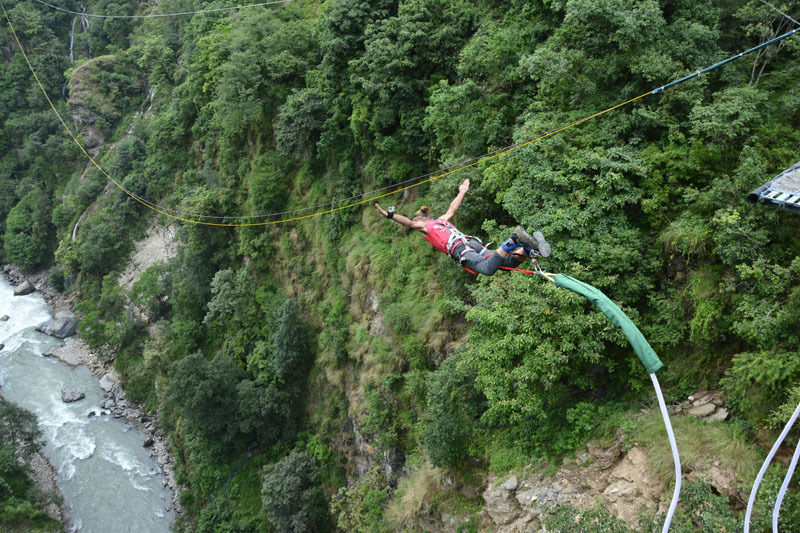 The trail crosses the Milk River through several suspension bridges before leading to Banker village (2700m) and Chumoa. Further along the trail leads to Monju where we take a quick break for registration, before descending to Dudh Koshi and Joraselle, the last village before Namche Bazar. A steady two to three hours of climb will lead us to the famous Sherpa settlement and trading capital. 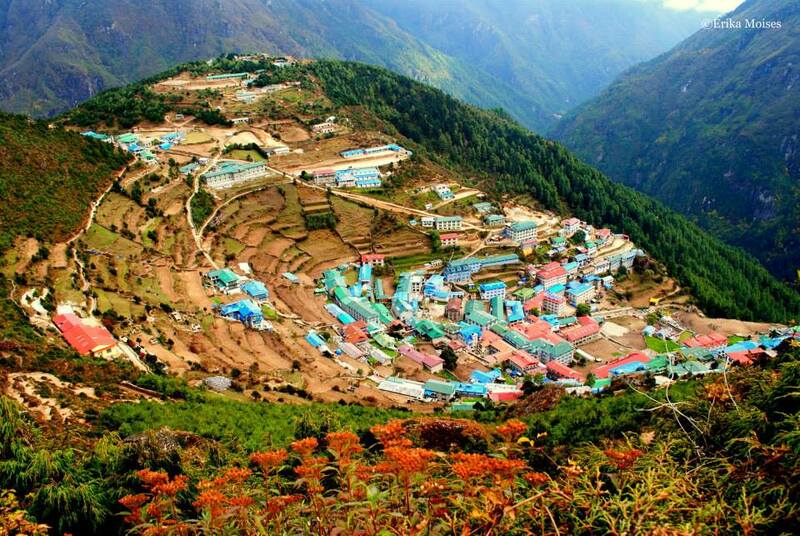 Namche Bazar is the Sherpa capital of the Solu Khumbu region which houses the Sagarmatha National Park visitor center. There are plenty of things to do around Namche Bazar. We will spend a day here acclimatizing by visiting Syangboche, Everest View hotel, Khumjung and Khunde village. After an early morning breakfast in Namche Bazar, we head straight to the trail that slightly goes uphill then descends to Dudh Koshi River (3250m). There are several small lodges in this area and a series of picturesque water-driven prayer wheels. Most trekkers take their lunch in this place before ascending to Tengboche (3880m). From Tengboche, you get a stunning view of Mt. Ama Dablam. During the peak trekking season of October or November during the full moon, a colorful festival called Mani Rimdu is held in the Tengboche monastery courtyard where masked dancing and performances from the Tibetan Opera take place. From Tengboche, the trail slightly drops down to Debouche, crosses the Imja Khola and climbs through a rhododendron forest past superb mani stones carved with the Tibetan Buddhist mantra “Om mani padme hum” to Pangboche(3860m). The monastery here is oldest in the Khumbu Region, and it is considered the best place in the area to stop for lunch. The trails climb past Somare village and Orsho to Pheriche (4240m). 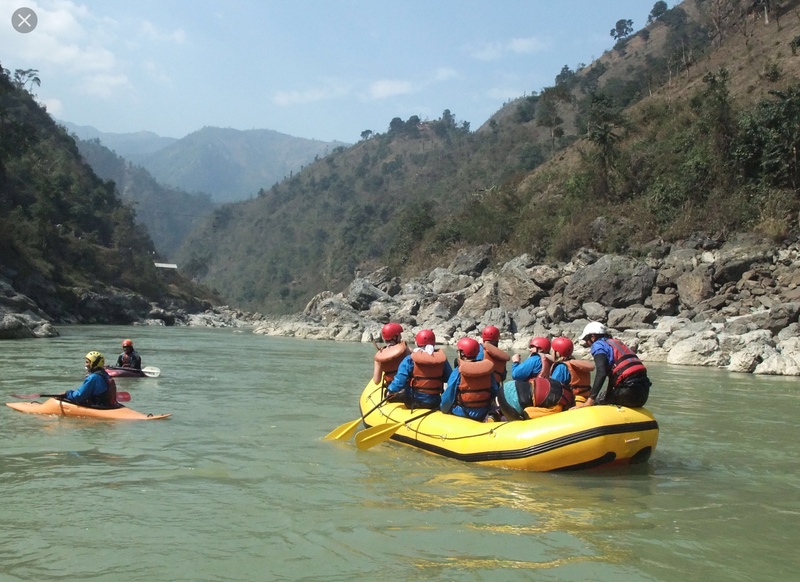 Pheriche village has a dozen of lodges for overnight stay, and it also possible to secure medical assistance here courtesy of the Himalayan Rescue Association (HRA) aid post. Another acclimatization day will be spent in Pheriche by resting in village or visiting Dingboche. 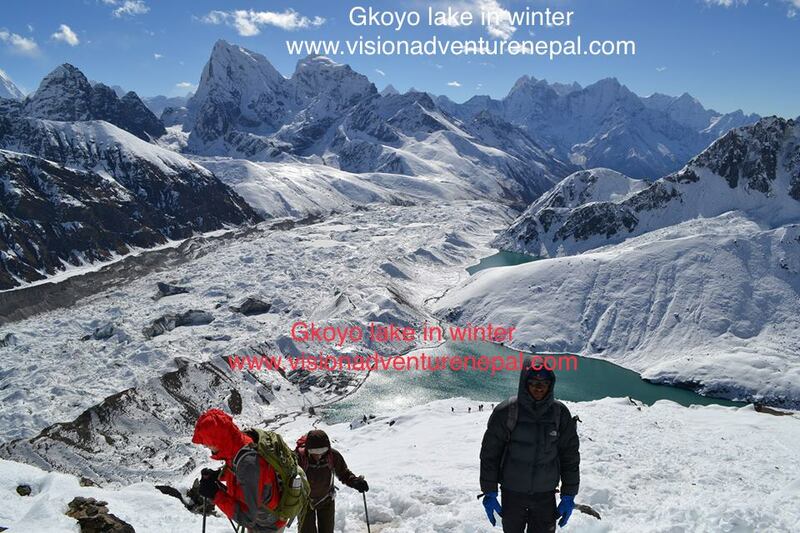 Chukung is another possible destination, and both places offer very good view of the snowy peaks of the Khumbu Himalaya. From Pheriche, the trail slightly climbs uphill to Phulang Khola (4340m) then another mild two and a half hour trek will lead to Thukla where you will have rest and take lunch. One and a half hour from Thukla, the trail goes directly up the graveyard of the Khumbu glacier. 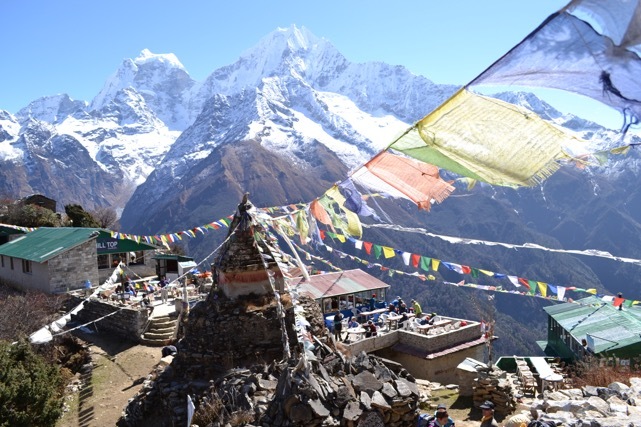 This area is the memorial place of deceased international climbers and Sherpas, including Scott Fischer who perished in the 1996 Everest disaster. It is a short climb with a view of Mt. Pumori. Half an hour from the memorial pass is Lobuche. The uphill trip from Lobuche to Gorakshep will take around three hours Another three hours from Gorakshep is the base camp of Mt. Everest. This can be done in a single day. If you are travelling in April or May, there are plenty of expedition tents because of the climbing season. In other months, there is no view from Everest base camp. 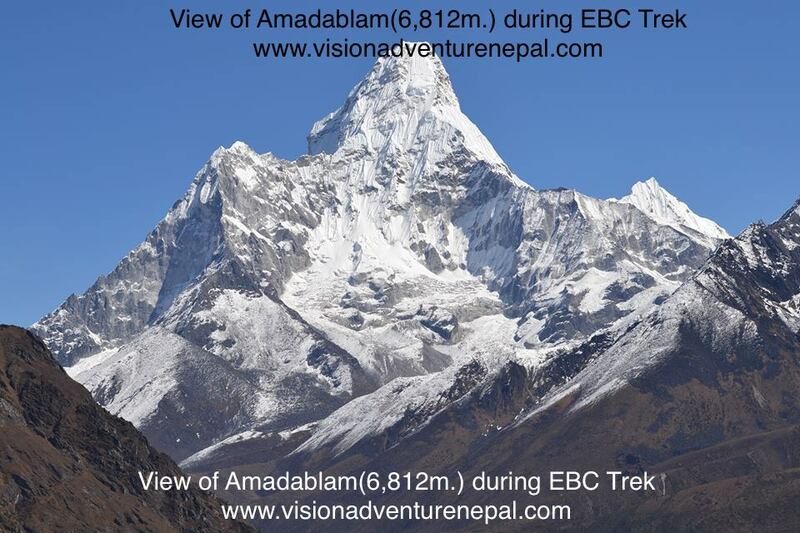 There are limited sceneries to see including the Khumbu Icefall. Early the next morning, we climb Kalapathar for the best chance to have good view of the mountains. At 5545m, the small viewpoint in Kalapathar offers the best view of Mt. Everest, Mt. Lhotse and other snowy peaks in Nepal. Gorakshep is the base camp of the 1952 Swiss Expedition to Mt. Everest. After scaling Kalapathar, we go back to the lodge in Gorakshep to have breakfast before heading down to Lobuche for around three hours. From Lobuche, the trail slightly goes down. It takes about four to five hours of trek to reach Dingboche, where you will stay for the night. There are plenty of nice lodges with good views of surrounding peaks like Island Peak (Imjastse) and Mt. Lhotse. Reaching Namche Bazar from Dingboche takes around six to seven hours. The trail slightly goes down to Namche Bazar, passing through the villages of Orsho, Somare, Pangboche, Imja Khola, Debouche, Tengboche, Phungithaga and Sanasa. The trail steeply goes down through a rhododendron and pine forest to Largung bridge. It will take a total of seven hours to walk to Lukla. 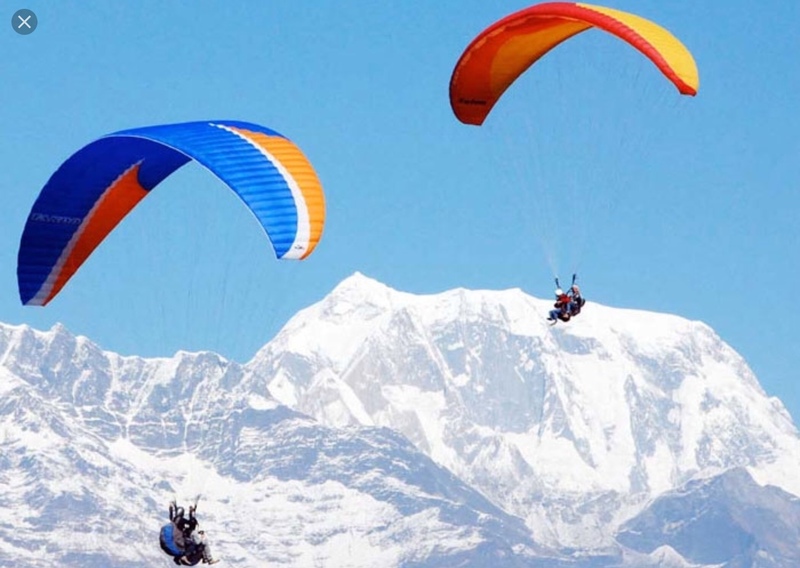 You will take an early morning flight from Lukla to Kathmandu and transfer to your hotel. You have the remainder of the day to rest and relax after the gruelling trek. 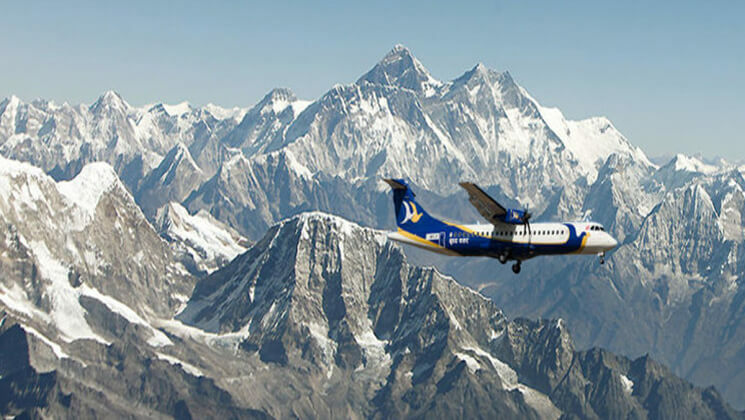 Round trip domestic airfares (KTM-Lukla-KTM) and airport taxes. 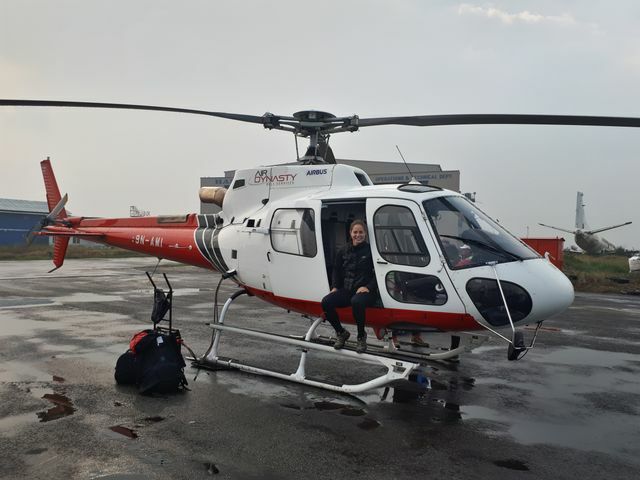 Helicopter is an option If the weather is not good to fly to lukla. 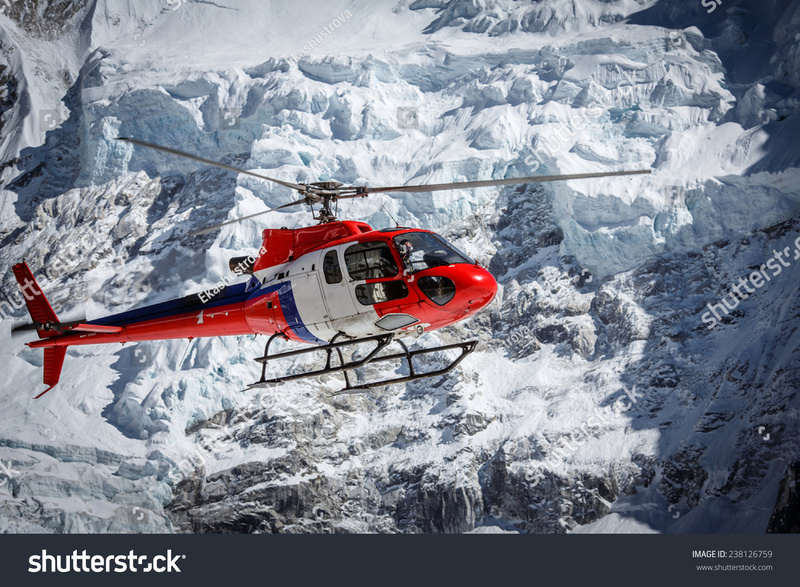 Fly to Lukla by Helicopter/ using the jeep if there is no usual flight.